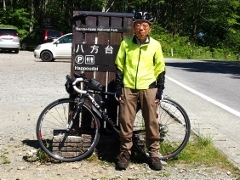 Today, I traveled further north in Hamadori region to Namie Town and Odaka district of Minamisoma City. 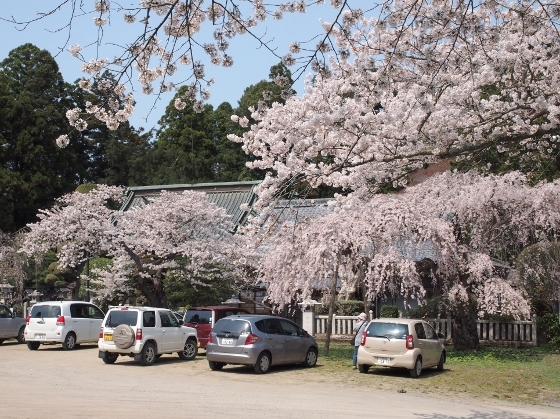 A photo above shows cherry blossoms in full bloom at historic site of Soma Odaka Shrine. This is also Nomagake performance site for the grand Soma Nomaoi Festival in July. The location is about 10-minute walk from JR Odaka Sta. Soma Odaka Shrine stood within historic Odaka Castle ruins. 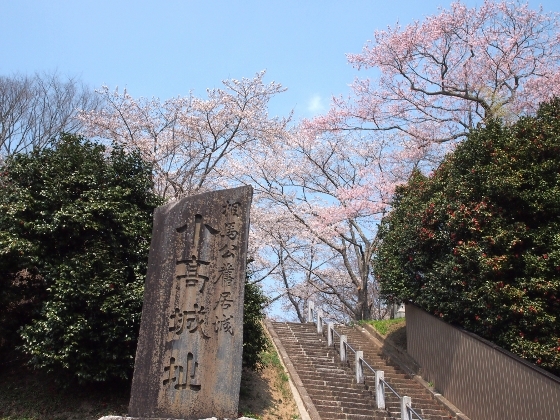 Front approach to the castle ground was also decorated with cherry blossoms as shown above. 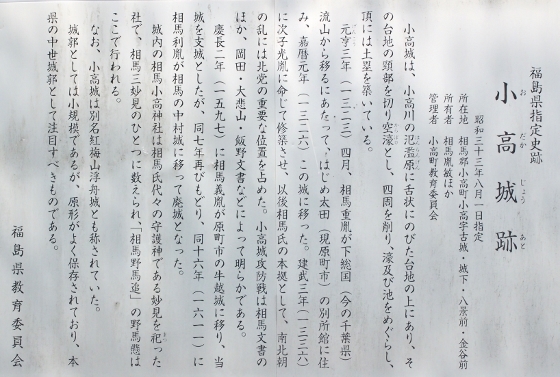 Description board above explains the history of the castle and the shrine in Japanese. 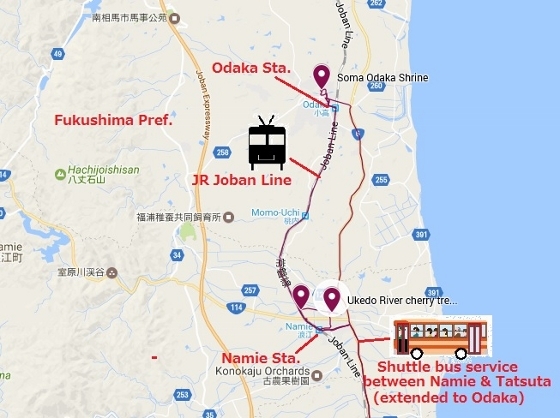 In order to get to Namie and Odaka, I had to take JR shuttle bus service between Tatsuta and Namie Station because bike transportation was not allowed. At Tatsuta Sta. this morning a large shuttle bus appeared on time as shown on the left above. 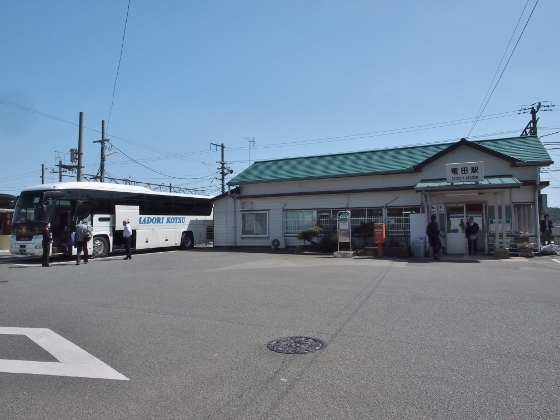 The bus took us between Tatsuta and Namie Sta., which was still suspended train operation. Although there is only one round trip a day currently, the shuttle bus service is extremely convenient for travelers without cars. After I visited Odaka district, I took JR Joban Line train to get to Namie Sta. Namie Town has just been lifted the evacuation order last month due to the nuclear plant accident. The town has just started its recovery movement. 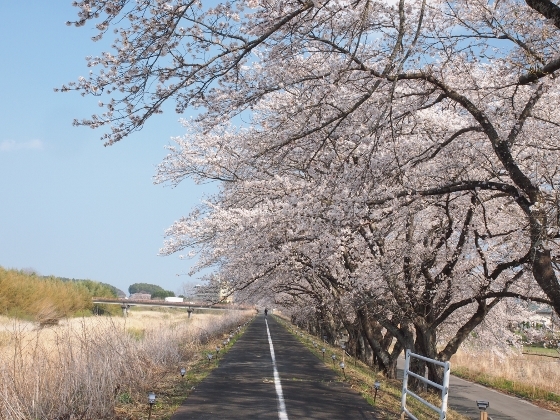 But cherry trees along the Ukedo River which flows through the town were already beautiful as shown above. As I explained above, Namie Station is the south terminal station for the northern part of JR Joban Line. Namie Sta. has just resumed operation from the 1at of this month. 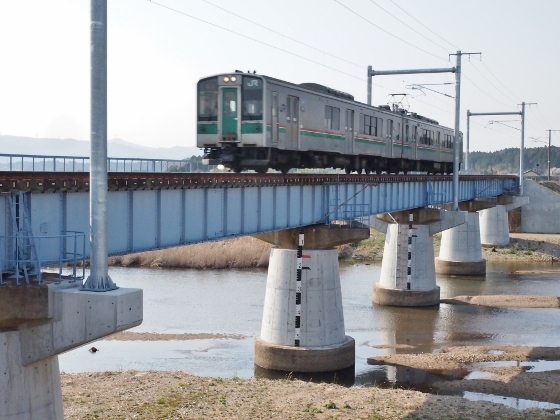 Photo above shows a train traveling from north bound for Namie runs through a bridge over the Ukedo River before arriving at Namie Station. This is the final report of three-day series of cherry blossoms in Hamadori region.